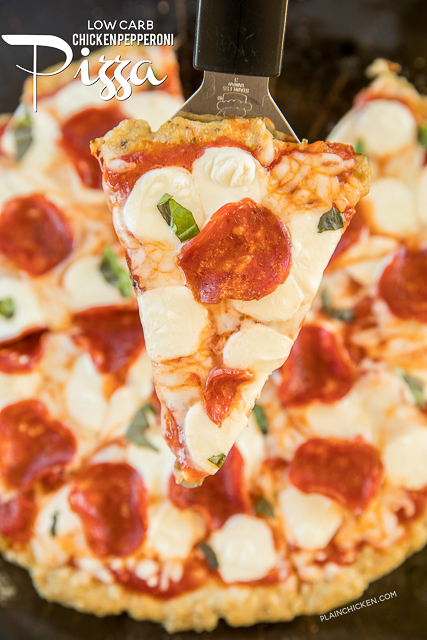 This Low-Carb Chicken Pepperoni Pizza is really, really good!!! The crust on this pizza is made of chicken. It is ground chicken with some cheese, and seasonings. So, it's like a flat chicken meatball. I partially baked the chicken crust and then topped it with pizza sauce, cheese and pepperoni. I know it might sound strange, but this was really, really good. 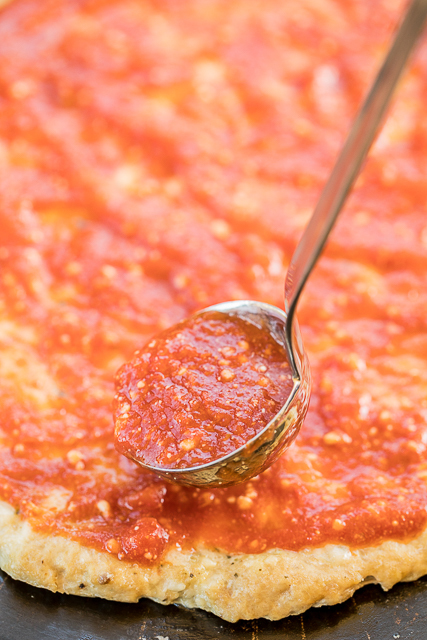 For the sauce, I used my No-Cook Pizza Sauce and left out the sugar. It tasted great without the added sugar. The tomatoes provided enough sweetness. 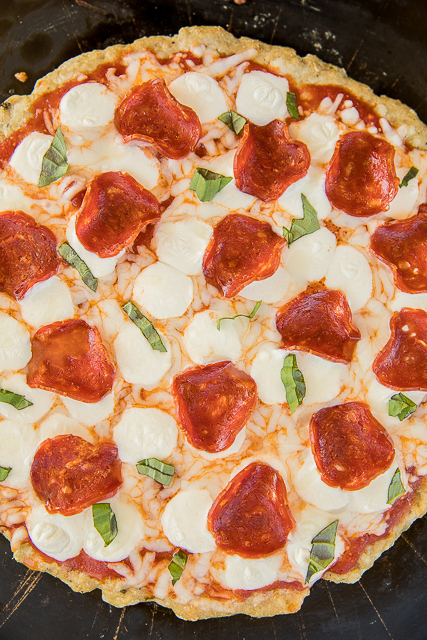 I topped the pizza with a combination of shredded and fresh mozzarella. 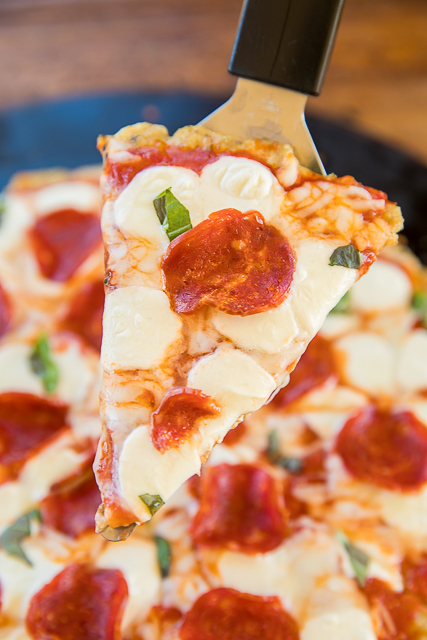 I used turkey pepperoni, but regular pepperoni works great. 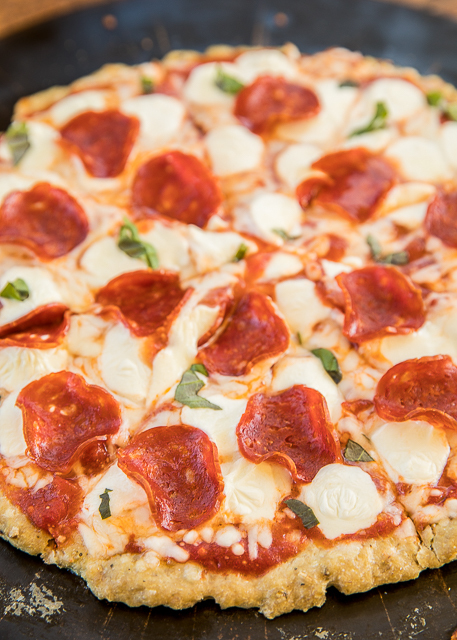 Really any of your favorite pizza toppings will work on this pizza. Just keep in mind that some veggies have more carbs than others. I say go crazy with the toppings. You are already saving so many carbs by using chicken as the crust, you really have room to play! In a bowl, combine ground chicken, grated parmesan, Italian seasoning and 1/4 cup mozzarella cheese. 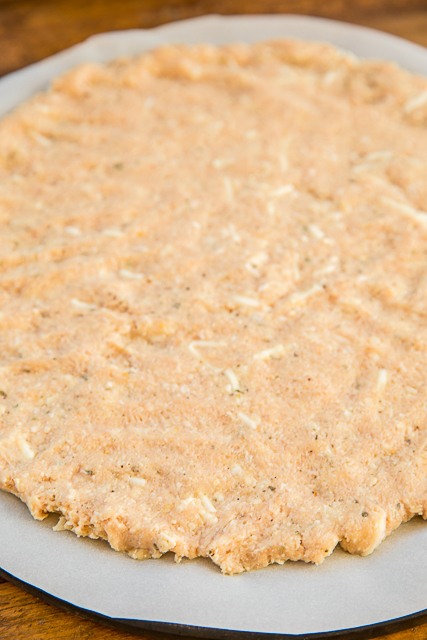 Press chicken mixture into a circle on a sheet of parchment paper or pizza stone. If using parchment paper, place chicken on a baking sheet. Remove chicken from oven, drain off any of the juices. Top partially cooked chicken with sauce, remaining mozzarella cheese and pepperoni. Bake an additional 8 to 10 minutes, until cheese is melted. It is like a baked chicken parmesan with pepperoni - really good!! in the email, you stated you used an egg. I don't see it listed here. Just curious if you need the egg as a binder or not. Thanks!! I did not use an egg in the crust. I don't know why I said that. I guess I thought about using one, but ended up not using it. Just chicken, cheese and seasonings. This sounds amazing! I can't wait to try this.